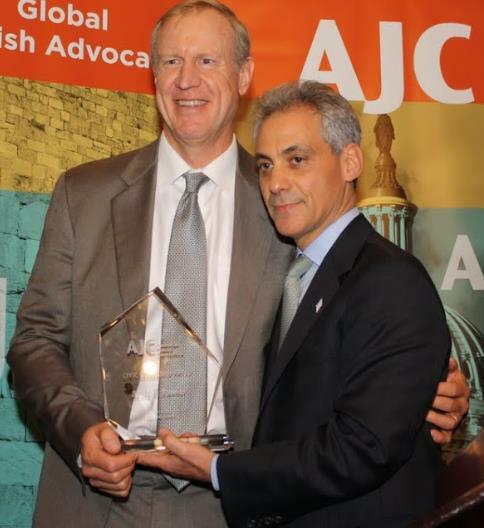 Multimillionaire Republican governor candidate Bruce Rauner has an extremely close relationship with Rahm Emanuel, moderate stances on social issues and a virtually endless personal fortune he can pour into his campaign. Capitol Fax publisher Rich Miller today explains why that makes Rauner the most feared Republican among Illinois Democratic Party leaders. If he wins the primary, he could have lots of crossover appeal with Democratic voters dissatisfied with Pat Quinn. "In other words, if Rauner wins the primary, he could be a nightmare for the Democratic Party," writes Miller. Of course, the very things that might make Rauner appealing to Democrats could hurt him with GOP primary voters. This race just gets better every day. Read Miller's column here.